Harley-Davidson® Women's Fleur De Lis Long Sleeve V-Neck Tee features a purple and subtle undertones of pink foil with full front and feminine mystique sleeve graphics. 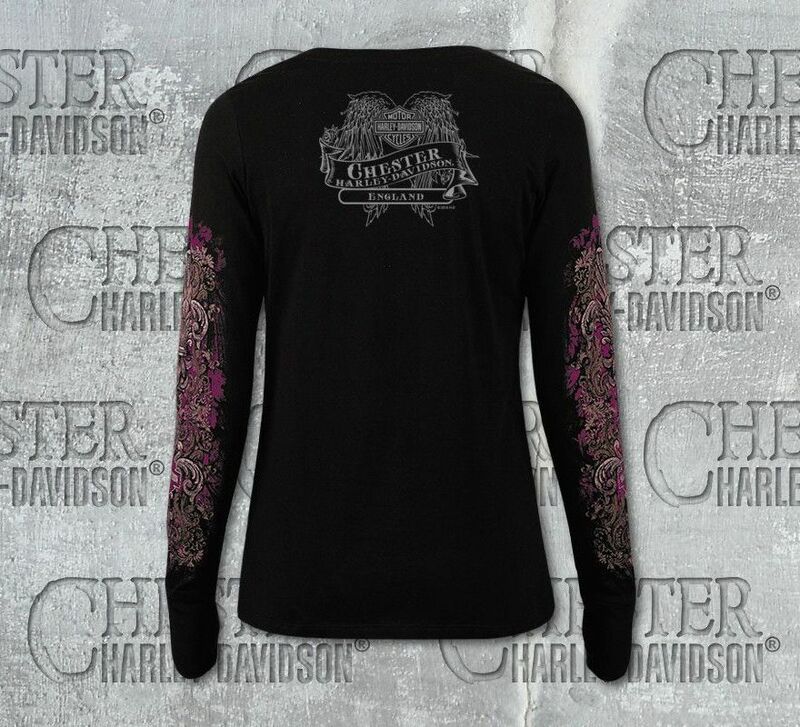 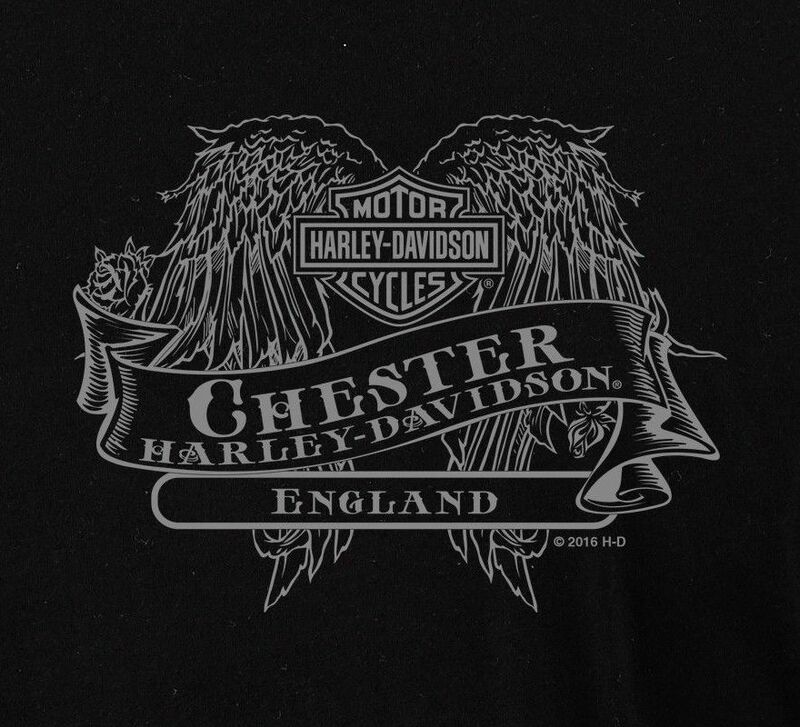 Finished with our exclusive Chester Harley-Davidson® Ladies Banner dealer backprint. 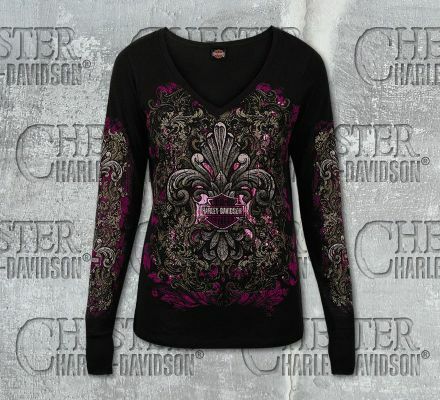 It is made from 100% cotton for wearers comfort, great fit and has thumb holes. Grab yours now!